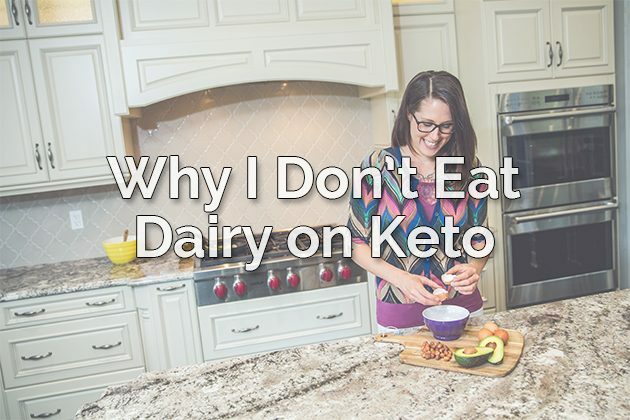 Why my approach to the keto diet is dairy-free and what consuming dairy can do to your body. It’s no secret that the standard ketogenic diet uses dairy. Cheese, butter, cream, you name it. And, while some people may do really, really good on that, a lot of people don’t. But, they continue to eat it because a) they don’t know that the dairy is causing issues for them, and b) they don’t know that there’s an alternative. Check out my digital program, The Keto Beginning for a TON of dairy-free recipes, plus more information about why my keto approach is dairy-free (on pages 11 and 12). 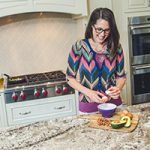 Looking for more info on how to thrive on keto without dairy? Turn to page 44 of Fat Fueled and read more on page 111. The most popular question I get is why my ketogenic diet protocol does not include dairy. So, here’s the video! Breaking up with dairy doesn’t have to be a drag! Dairy-free keto is delicious, and for many people, it’s exactly what their bodies need! You never know till you try — ditching dairy is worth a shot.